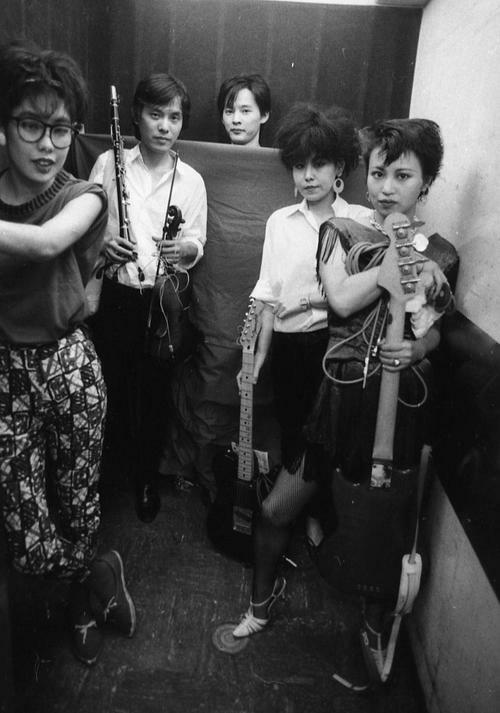 Non Band released their self titled six song debut in 1982, decades ahead of its time, its an eclectic mix of lo-fi / new wave / no wave soundscapes. After a lengthy hiatus Non Band got back together and they currently play with various line ups in their home in Northern Japan. Non Band is active in environmental issues and Lead singer / bass / songwriter Non was kind enough to answers some question via email. RBFM: What is the make and model of your favorite guitar? RBFM: If you Google Non Band, this picture pops up (see photo above). Who are the people in the photo? Where and when was the photo taken? What message from today would you give to your younger self in the photo? NON: Maybe the picture was taken about 1981. I don’t remember where it is (anyway, in some live house in Tokyo), somebody may know about it. Actually all of us were quite young then. The two girls are Kummy (chorus / guitar) and Mitsuwa (chorus / keyboard). I invited them to NON baNd for a short term and both of them were very charming. The original members are Kinosuke (guitar / violin) and Mitsuru Tamagaki (drums), they are still playing in the band with me. I’m very happy that I can play with them now. 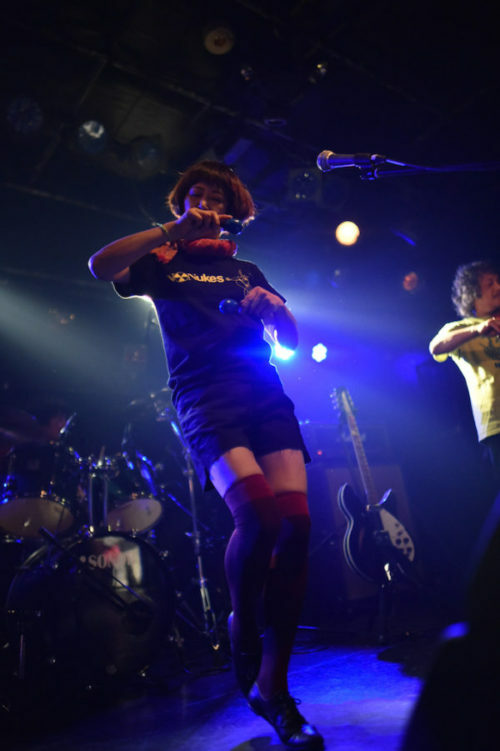 And we have optional member Emi Sasaki (accordion), she’s great too. (Message to her younger self) … I’m not as saucy or a wuss like you are, I’ve grown up a little. RBFM: What are Non Band’s musical influences? I didn’t really think about that, but there must be some kind of influence. I’ve started listening to all kinds of music since I was a child. ALL KIND OF THINGS MIXED UP (maybe with not so much consciousness). RBFM: How does Non Band create a song? NON: I usually just bring the lyrics and base riff to the band members, we then expand on the piece with thoughts and feelings that comes with the flow. At times I expand on my feelings NON Band was on its break for 17 years, but I was still making songs, and those songs became really important part of the repertoire for the band now. RBFM: How have your political views shaped your music? NON: I’ve always avoided political things because of the corruption. But I can’t be silent with frightening inhumane things. I try to do things about that even if it’s something little. When I make songs, I hardly ever make a song about the issue directly. I always think about how it starts with our minds either free or unfree ourselves, that can connect with other people or animals. Like how to blow some wind to someone’s tired soul or how senses of soft touch can bring peace to someone’s mind. These are the little things that can always be ignored by politics because it’s all about the inhumane power struggle. RBFM: What was your most memorable experience on stage? NON: When I played a solo live outside, a spangle flew around me and the audience. It was so happy! RBFM: Describe Non Band’s sound in one word. Maybe it exists in this world. RiceburnerFM thanks to Non of Non Band for taking the time to answer these questions. Also thanks to Yoko Uchida of New Edge PR for for the translations. This entry was posted in Interviews and tagged 1981, 2016, Female Fronted, jrock, new wave, no wave, retro. Bookmark the permalink.